British guitarist Clive Carroll has a deep knowledge of music history, arranges, composes, can lay down a blues with the best of them, and is a captivating performer. He has toured extensively as a solo artist, performed with the late John Renbourn and International Guitar Night, has taught workshops including weeklong courses at Swannanoa Gathering, and has released four CDs and a concert DVD. A chance meeting with the late John Renbourn changed the course of Clive’s musical career and the two toured the U.K. and North America together, with Renbourn encouraging Clive to the U.K. and North America together, with Renbourn encouraging Clive to release his first solo album in 2000. 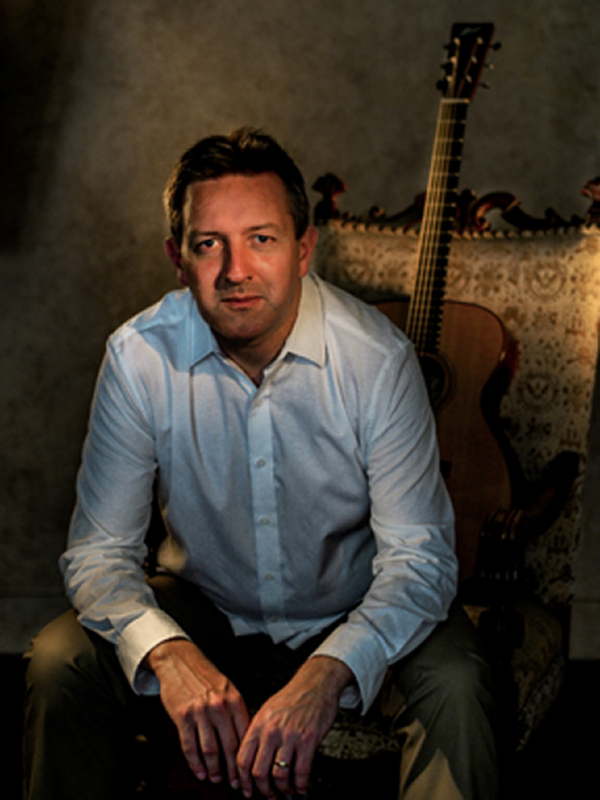 Since then Clive has gone from strength to strength, touring solo around the world and alongside lauded guitarist Tommy Emmanuel. Tommy Emmanuel recently said “Clive Carroll is one of my favorite guitarists. He’s touring the US this March. Trust me go see him!” Clive has also composed music for major films and has been awarded an array of awards and accolades, such as inclusion in Total Guitar Magazine’s “Top 10 Acoustic Guitarists of All Time”. His latest recording, The Furthest Tree, is a wide ranging and innovative program of mostly solo steel-string guitar and is an absolute gem. The album begins with a tribute to Clive’s mentor, John Renbourn, who passed away last year. Entitled The Abbot’s Hymn (Renbourn was known as ‘The Abbot’ because of his fondness for an East Anglian ale of the same name), it’s a wonderful introduction to an album chock full of superb playing and outstanding compositions. Take, for instance, A Renaissance Suite, an eight-minute classically influenced duet with special guest, John Williams. These are the reasons guitar phenomenon Clive Carroll’s masterful compositions, coupled with his versatility and unparalleled technical virtuosity, have rendered him one of today’s most admired and respected guitarists.